Ten years ago, with the aid of a small windfall, I splashed some cash on an amazing holiday to South America. I stayed at many unforgettable places in Argentina; not least, the coastal town of Puerto Madryn, named by the first Welsh settlers in 1865. So I was interested to catch up this evening with the television programme of BBC TV newsreader Huw Edwards’ trip to this Welsh-speaking part of Patagonia, thanks to the iPlayer. As you might expect, the history of the migration and the accounts of problems the early settlers faced were fascinating. But I was particularly taken by the Welshman’s account of the country’s new-found interest in diversity and bilingualism following the Falklands War. 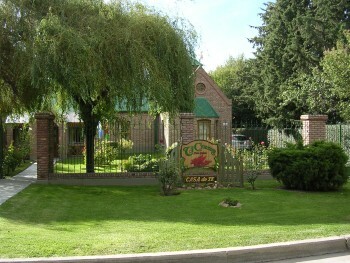 Some schools in the Chubut region now teach many classes in Welsh and there was footage of young people, with no connection to Wales, learning the language and practising traditional folk dancing. Of course, the Welsh connection through dozens of prosperous tea rooms with framed tea towel maps of Wales attracts the tourist peso even more now than in 2005. One even boasts of serving Princess Diana with tea and Welsh cakes. It set me thinking. In the 21st century, across the globe in Greece, migrants from Germany seeking a better life in the sunshine have colonised many seaside resorts, bringing much-needed investment. It used to be an idyllic life for these travellers from colder climes, many forged close relationships with the locals. But the recent financial crisis has soured the relationship somewhat. As the two countries battle over debt repayments and Greece’s future in the Eurozone, German social clubs in some places trying to organise events in public spaces are finding problems for the first time, even ‘though many of the new arrivals are mastering the language and learning traditional Greek dancing. It’s foolish to draw too many parallels; the world has moved on during the last 150 years. But the clash of cultures is as real today as in 1865.